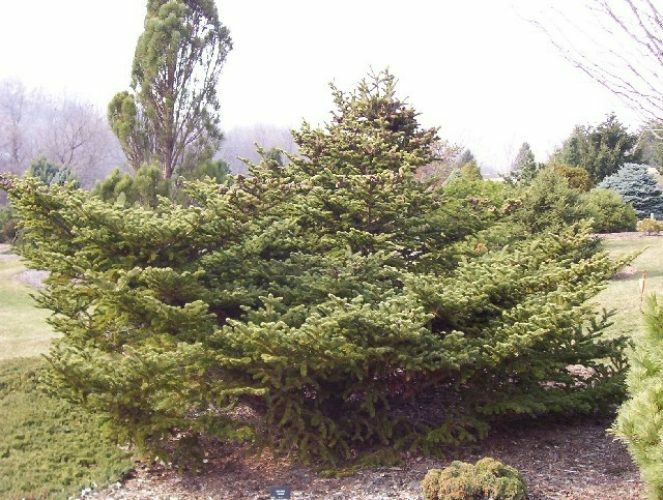 Abies fraseri 'Prostrata' is a low, prostrate plant with dense, short needles. The tree remains under 5 feet (1.5 m) in height, but can reach 13 feet (4 m) in diameter. Low, spreading, needles are green with gray-green undersides. Abies fraseri 'Prostrata' This photo was taken at Bickelhaupt Arboretum located in Clinton, IA in their 'Heartland Collection of Garden Conifers' in March of 2004.